A Ripping Good Tale…and a Book Giveaway!!! It’s been over one hundred years since Jack the Ripper terrorized the streets of London, yet he remains a fascinating and gruesome mystery. Who was he? What were his motives? And why did he suddenly stop? Questions like these have produced volumes of investigative books –– some even claiming to have solved the mystery–and several movies (Anyone remember this Johnny Depp film?). In his latest young adult novel, Ripper, author Stefan Petrucha mixes fact with fiction to offer up a new look at Jack the Ripper in a suspenseful blend of history and horror. In 1895 New York, Carver Young is a fourteen year old orphan recently taken in by Detective Hawking of the renown Pinkerton Agency. Carver should be thrilled—he has a home and a means to learn detective skills alongside the very best, skills he needs if he is to find his father. Yet, home is a room inside a mental institution and the discoveries Carver is making are leading him to an unbelievable conclusion. Could Jack the Ripper be in New York? With the city reeling from the murders of high society women and Police Commissioner Teddy Roosevelt up in arms, Carver must decide how far he’s willing to go to learn the truth and how much he’ll risk to get it. Ripper is a fast-paced mystery filled with historical detail, new-fangled gadgetry, and the Pinkerton’s cool underground base. The clues and red herrings are numerous enough that even the best mystery reader may not guess the outcome. With a sequel hinted to at the end, here’s hoping that we won’t see the last of Carver Young and his fellow Pinkerton agents. 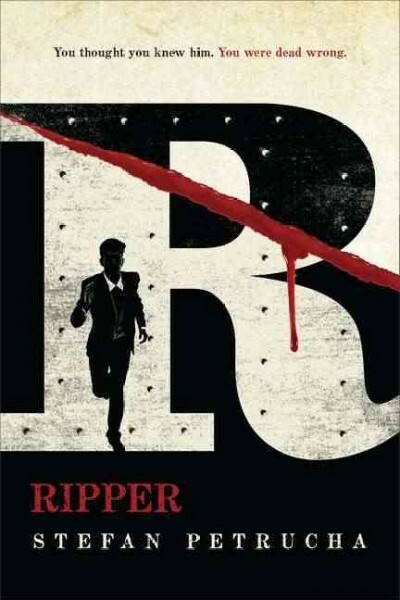 Now, you have the chance to take home a hard copy of Ripper for your very own! Just be the first to stop by the Young People’s Library desk, mention the blog post, and it’s yours to keep! Good luck and good reading. Teen Tuesday – Romance and the chance to win a FREE BOOK! High school seniors Echo and Noah just want their old lives back. Two years before, Echo lost her beloved brother and shortly thereafter, experienced an event so traumatic she’s blocked the memory. Only her heavily scarred arms, which she carefully hides, serve as reminder. After falling off the social radar, Echo’s back on the popular path–sitting in the lunchroom, talking with the right girls, and once again, dating her old boyfriend, Luke. Thanks to the new social worker at school, Echo even has a job tutoring Noah, the gorgeous outsider with the great abs and a bad rep. But Noah has been adjusting to some radical changes himself. Anxious to reclaim his young brothers from foster care, Noah struggles between following the rules and succumbing to his insecurities. Now that he’s fallen for Echo, Noah questions just how far he’ll go to get the girl he wants and the family he wants back. Like your romances hot and steamy? The attraction between Noah and Echo practically sizzles off the page. Of course, between all the lusting and longing are fair amounts of tears, frustration and misunderstanding. And if you’ve fallen in love with these characters, rejoice! A sequel of sorts, titled Dare You To, is coming out in 2013 that will center on Beth, one of Noah’s closest friends. Now here’s your chance to read new author Katie McGarry’s soon-to-be-released novel before the library copies circulate. 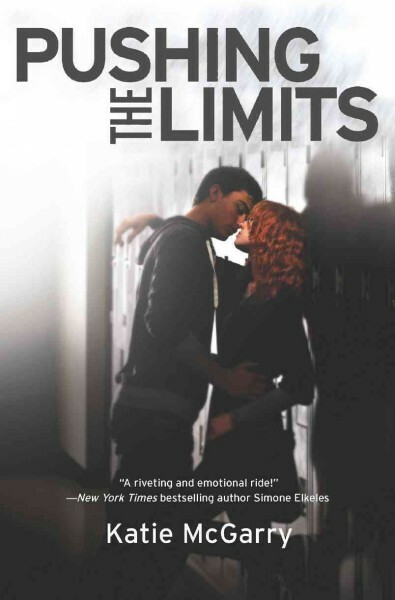 Simply be the first to stop by Whitney’s Young People’s Department, mention this blog post and an advance reader copy of Pushing the Limits is YOURS TO KEEP! Hurry, there’s only one copy to give away. Reason #8 to Sign Up for the Summer Reading Program: You Will Win FREE Books! Yes, that’s right. FREE BOOKS! Kids and Teens will be awarded a free book for every 10 days they read between June 1 and July 31 this summer. Simply sign up for the Summer Reading Program beginning June 1, keep track of each day that you read for at least 20 minutes on your reading log, and come in every 10 days to collect your prize: a Book Buck that is good for one item from our Used Bookstore. We have been busy the last few months collecting donations and discarded library books in good condition to fill the shelves of our Bookstore with treasures for you! You never know what you might find. If you read every day this summer, you could earn up to 6 Book Bucks and go on a shopping spree for FREE! With babies and toddlers earning a brand new board book for completing 12 reading readiness activities, that’s FREE BOOKS for the whole family! Don’t miss this fantastic chance to create your own home library for FREE and have fun doing it. For more information on this year’s Summer Reading Programming beginning June 1 and ending July 31, visit http://www.lvccld.org/events/special_programs/srp/ or call us at 507-4015.